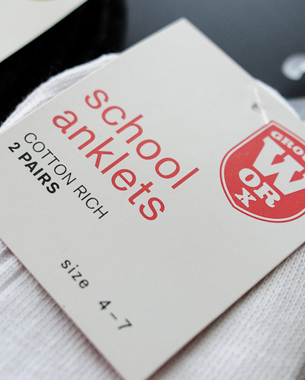 The schoolwear area in Ackermans was looking to update their packaging by creating a stronger identity for the Groundworx brand, and to improve the shopping experience by creating a clearer definition between the products available for girls and boys. 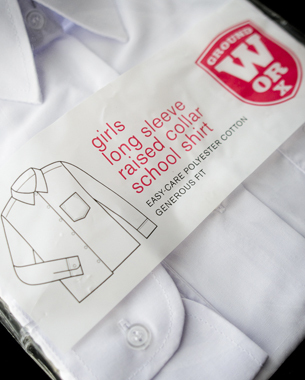 A new badge-like logo was developed, and the corporate green across all products was replaced with a combination of a more apple green (for boys) and a coral (for girls). A simple typographic grid was applied for clear communication of product description and any features/benefits. © 2013 Birdesign. All Rights Reserved.